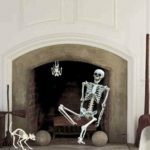 Your home life may be hectic, top-speed, and constantly changing, but it needs to revolve around something. Every home needs a focal-point, a place that stands as a solid example of home and serves as a gathering place for people. 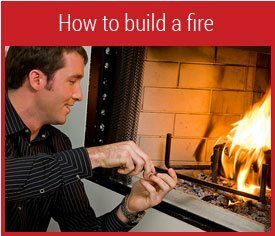 Your fireplace is an ideal spot to represent the rest of your home, as well as to cater to your family’s needs at any time of year. 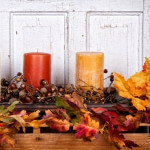 Here’s how to make the most of your holidays by using your mantel as a “centerpiece” for your life. What better midnight-gathering-spot than right at your home’s heart? 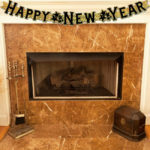 Line your mantel with an array of New Year party favors and noisemakers, as well as plenty of tinsel and confetti for a truly festive feel. Place champagne flutes around for ease-of-access. Tie it all together with a beautiful (and accurate) clock above your fireplace. 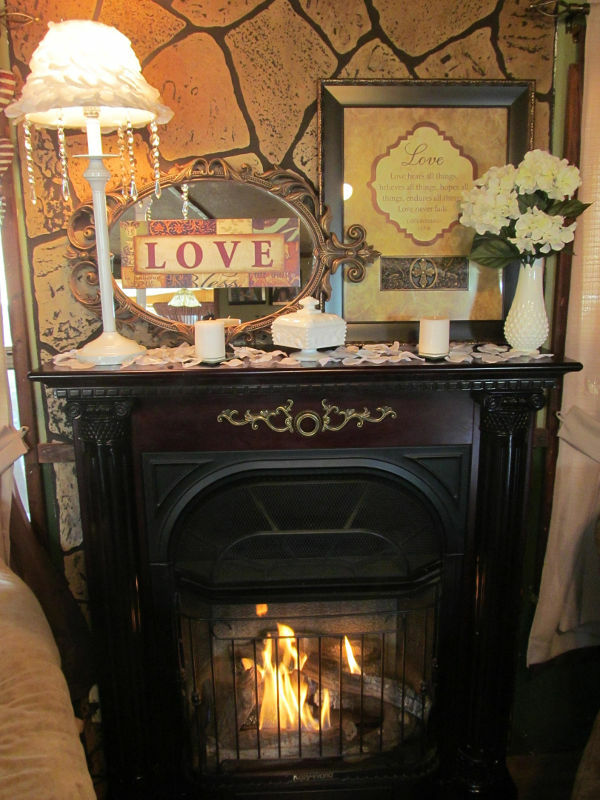 While you may prefer the cutesy side of Valentine’s Day, with candy hearts and silly messages, the fireplace can act as a perfect romantic getaway for you and your Valentine. Lay a fur or plushy rug down in front, sprinkle rose petals all about, and set the champagne and boxed-chocolates within reach. Blindfold your special-someone, and guide them in for a surprise evening by the hearth. It’s hard for most to go all-green throughout the house, so the fireplace is a perfect area to concentrate your green for a festive look. Clovers are the ultimate symbol of St. Patty’s Day, so incorporate them anywhere you can in your decorations. If you don’t have clovers, you can use house plants, green apples, or anything else you can think of to tie your fireplace’s theme together nicely. Whether you’re celebrating Easter or the beginning of spring, your fireplace can serve as a wonderful flowery centerpiece. Any type of fresh flower or spring animal you can incorporate into your design will give you a nice seasonal look, and the more decorative Easter eggs the better! Your fireplace may be your source of warmth in the wintertime, but it can also become your cool-spot on the fourth of July! Work your lemonade pitcher and refreshments into your mantel’s design for your Independence Day party, and keep a red-white-and-blue theme throughout. Drape an American flag banner down past the mantle when the fireplace is not in use. 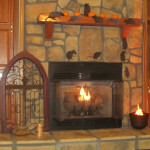 If your fireplace is close enough to your door, it can serve as the perfect trick-or-treat station on Halloween night. 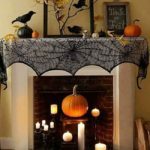 Incorporate any ghouls, goblins, and bats you can get your hands on, and drape fake cobwebs over your mantel. Be sure to include a big cauldron in the center to hold lots of candy! Keep any leftover Halloween leaves and pumpkins to help reinforce a fall and harvest theme. The more produce, the better for your Thanksgiving hearth. What’s better, your fireplace will serve as a perfect gathering place for your family after your Thanksgiving dinner, and orange-and-yellow lights draped over the mantel will help the fire make it that much more cozy. There are plenty of traditional fireplace decorations for Christmas, so be creative with them! 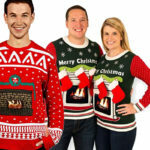 Stockings and wreaths are the traditional staples, but how they are themed is up to you. Whether you go with a winter harvest, Santa Clause, toy, or snow theme is your Christmas time prerogative! What’s most important is that you create an inviting location for your family to gather around that will provide more than a fire’s warmth on those cold winter nights. Year ’round, holiday fireplace decorations help you enjoy and celebrate each special event. Nina Hiatt researches and writes articles to help people find balance and beauty in their personal space through landscape and interior design. In her free time, Nina blogs about many of her interests, which include gardening, technology news, and baking. She loves working with local businesses, and supports Vancouver heating with all her frost-bitten might. Last updated by Tom at July 4, 2017 .